March 17, 2019 by Laurie 2 Comments This post may contain affiliate links, which means if you click on a link and purchase something, I may earn a small commission (at no additional cost to you.) See my disclosure policy HERE. 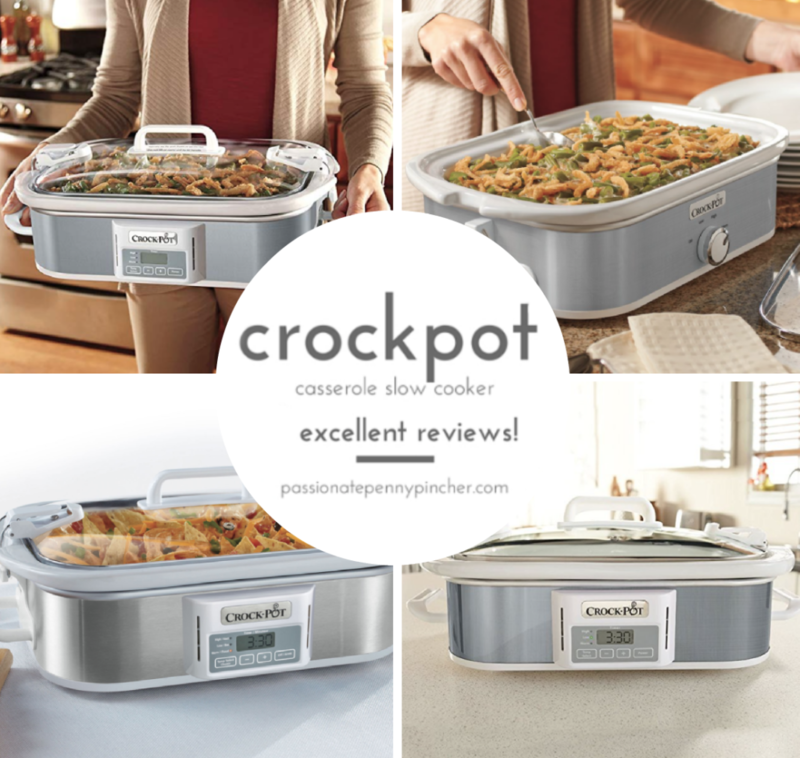 We have a hot deal on the Crock-Pot 3.5-Quart Stainless Steel Casserole Slow Cooker right now ~ get if for just $29.99! This regularly goes for $64.99. Or get the programable one for around $60 it on Amazon! (This is the one I have). This would be SO nice for entertaining – as well as taking food to potlucks! It has excellent reviews, and since shipping is free on orders over $50, if you buy 2 you'll get free shipping! The 25.99 one isn’t programmable. Do you recommend spending the extra money for the programmable model?